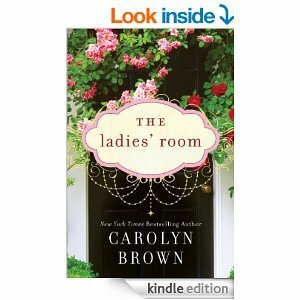 Today I'm featuring The Ladies' Room by Carolyn Brown, a purchased Kindle edition. If I wriggled again, Great-aunt Gert was going to sit straight up in that pale pink coffin and give me an evil glare the way she used to do when I was a child and couldn't sit still in church Not even in death would Gertrude Martin abide wiggling at a funeral, especially when it was hers. 56% of eBook: "I sensed she was leaving something out. 'But when did she get married?'" My thoughts: After reading several thrillers, I've switched gears with a lighter read. The Ladies' Room is a snappy, humorous read filled with gossipy small town characters, bless their hearts. 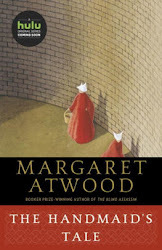 From Goodreads: Secrets told in the church ladies' room are supposed to stay in the ladies' room. But that doesn't mean that what Trudy overhears there during her great-aunt Gertrude's funeral won't change the rest of her life. Trudy has a daughter in the middle of a major rebellion; a two-timing husband who has been cheating for their entire married life; and a mother with Alzheimer's residing in the local nursing home. She doesn't really need a crumbling old house about to fall into nothing but a pile of memories and broken knickknacks. Billy Lee Tucker, resident oddball in Tishomingo, Oklahoma, lived next door to Gert, and in her will she leaves him the funds to help Trudy remodel the old house. That's fine with Billy Lee, because he's been in love with Trudy since before they started school. And just spending time with her is something he'd never ever allowed himself to dream about. A beautiful home rises up from the old house on Broadway, and right along with it rises up a relationship. But is Trudy too scarred from what she heard in the ladies' room to see a lovely future with Billy Lee? Friday Focus: The Friday 56 & Book Beginnings #96 was originally published by Catherine for bookclublibrarian.com. This post cannot be republished without attribution. Retweeting and sharing on Google+ are encouraged and appreciated.